When a consumer cannot make decisions at an 18 year old level, or is subject to undue influence, a conservatorship is a helpful tool to assist families in making decisions on behalf of their loved one. Conservatorship authorizes the conservator to make decisions for a consumer as directed by the court order. Without a conservatorship, decision making power is retained by the consumer. If the consumer is unable to make decisions, often times those decisions are made by the Individual Program Planning team. By virtue of being a conservator, you have an automatic right to be on the Individual Program Planning team. Without conservatorship you are not part of the team unless you are invited. In an emergency medical situation, doctors or hospitals must look to the individual or spouse first for authority to treat the individual. If the individual lacks the capacity to make those decisions, the Regional Center is authorized to make such decisions. In non-emergency situations, the treating physician will consult with the family. With a conservatorship (with medical power) you would be authorized to make those decisions. Our office can assist you through this process. 1Does every person with a developmental disability need a limited conservatorship? No. A limited conservatorship is not required merely because a person has a developmental disability. A limited conservatorship is appropriate only when necessary to protect the well-being of the individual and is designed to encourage the development of maximum self-reliance and independence of the individual. 2What alternatives are there to a limited conservatorship? If the main objective of the conservatorship is the management of the funds of a person with a developmental disability, a Special Needs Trust can often better meet those objectives. 3Who Can Establish a Limited Conservatorship? The spouse of the proposed conservatee. A relative of the proposed conservatee. Any interested public officer or employee of an interested public agency of California. Any other interested person or friend of the proposed conservatee. 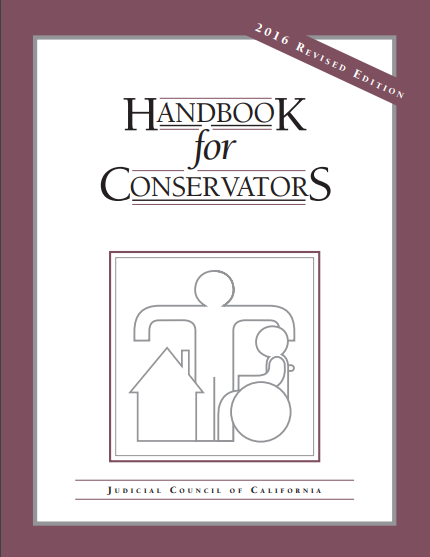 4What are the Duties of a Limited Conservator? To select the residence or specific dwelling of the limited conservatee. Access to the confidential records and papers of the limited conservatee. To consent or withhold consent to the marriage of the limited conservatee. The right of the limited conservatee to contract. The power of the limited conservatee to give or withhold medical consent. The limited conservatee's right to control his or her own social and sexual contacts and relationships. Decisions concerning the education of the limited conservatee. 5What Role Does a Regional Center Play? Within 30 days after the filing of a petition for limited conservatorship, a proposed limited conservatee shall be assessed at a regional center. The regional center shall submit a written report of its findings and recommendations to the court. While the regional center report is not binding, it provides the court with guidance about the appropriateness of the conservatorship. 6When Can Proceedings Begin for a Child? If the proposed conservatee is a minor, the petition may be filed so that the conservatorship may be effective immediately upon the child turning 18.